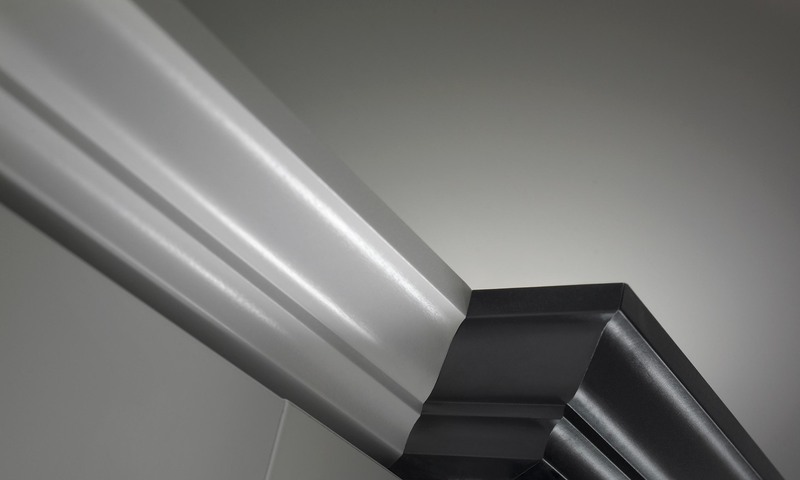 Whether for new constructions or a remodel, we deliver the latest styles and finishes from Classic to Contemporary. 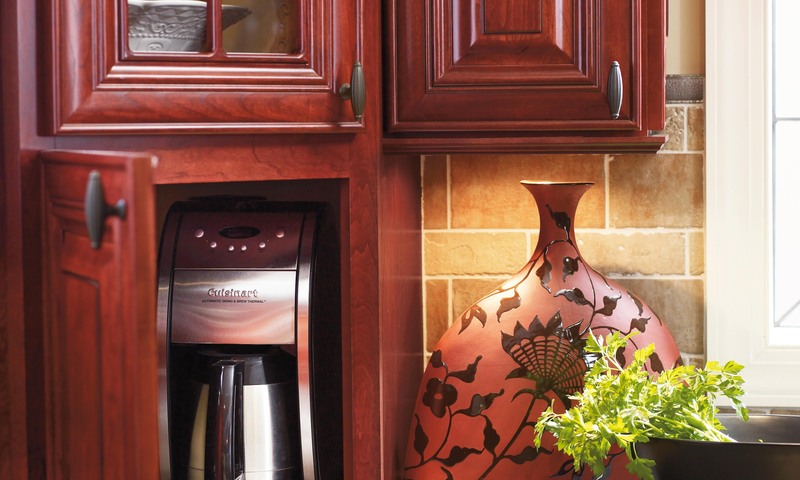 We carry cabinets by Omega, Dynasty, Diamond, Homecrest, Bridgewood, and Aristrokraft. If custom cabinets are more your style, we build in house. 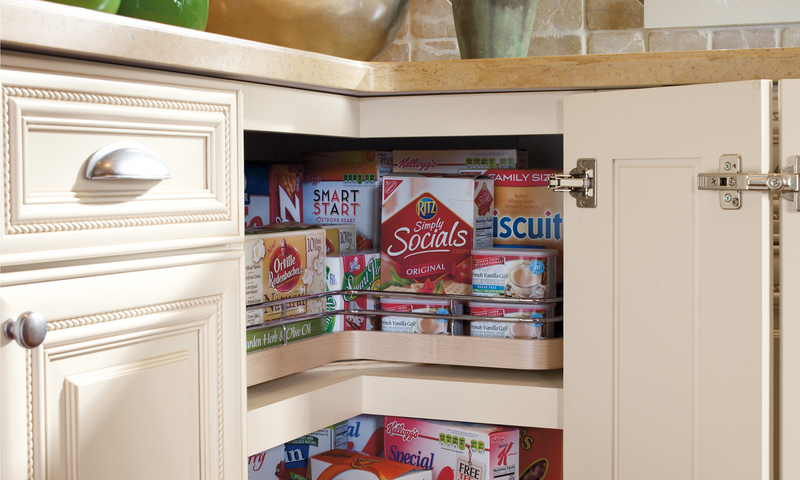 All of our cabinet lines are KCMA (Kitchen Cabinet Manufacturers Association) Certified. The program recognizes companies that demonstrate an ongoing commitment to environmental practices and sustainability. Solid surface countertops by LG Hausys-HiMacs, DuPont Corian and Mystera. 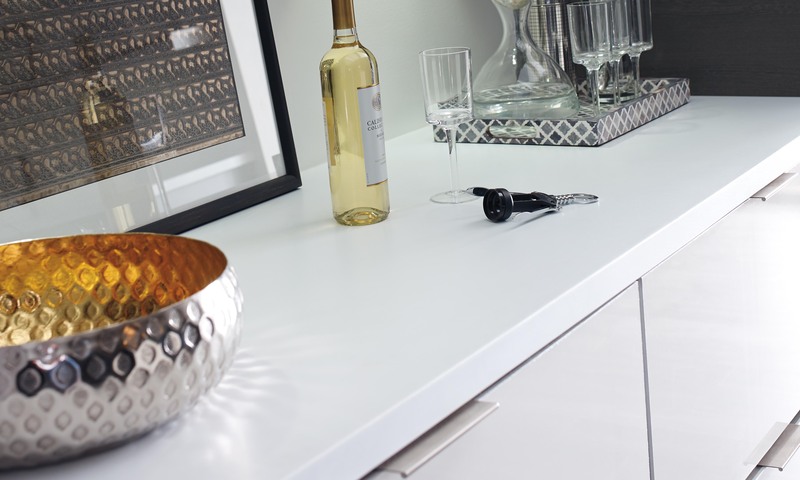 Laminate countertops by Wilsonart and Formica. Our butcher block countertops are all professionally sealed. All of our countertops are meticulously fabricated in house. We are a full service door shop for your new construction or remodel. 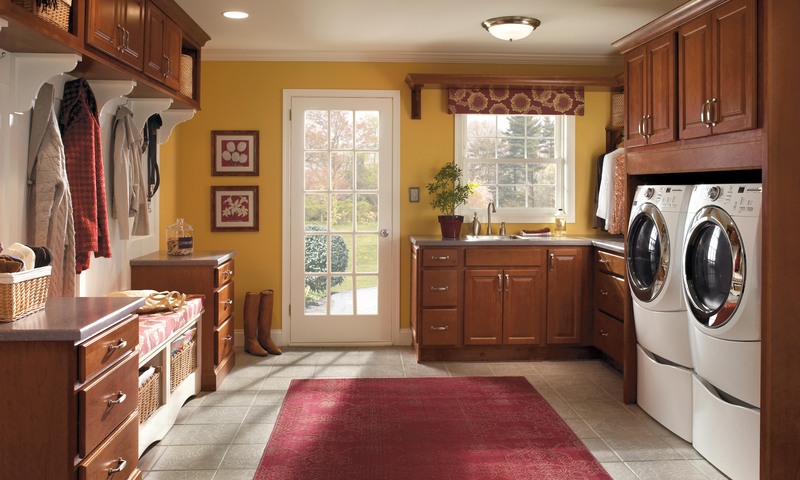 We offer wood, fiberglass, metal, and molded doors made by Simpson, Plastpro, Jeldwen and more. Whether your taste is rustic, contemporary or classic we have the hardware for you. 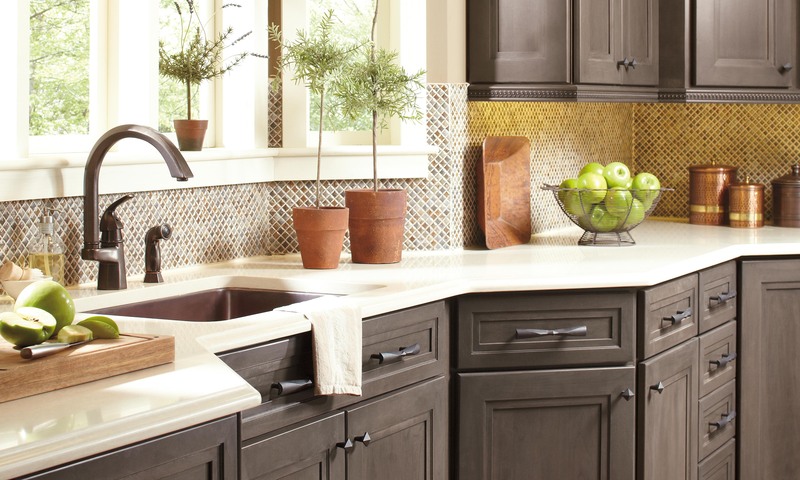 We offer cabinet hardware by Emtek, Amerock, TopKnobs, Berenson and Rocky Mountain. Door hardware by Baldwin, Kwikset, Emtek, Copper Creek, and Schlage. 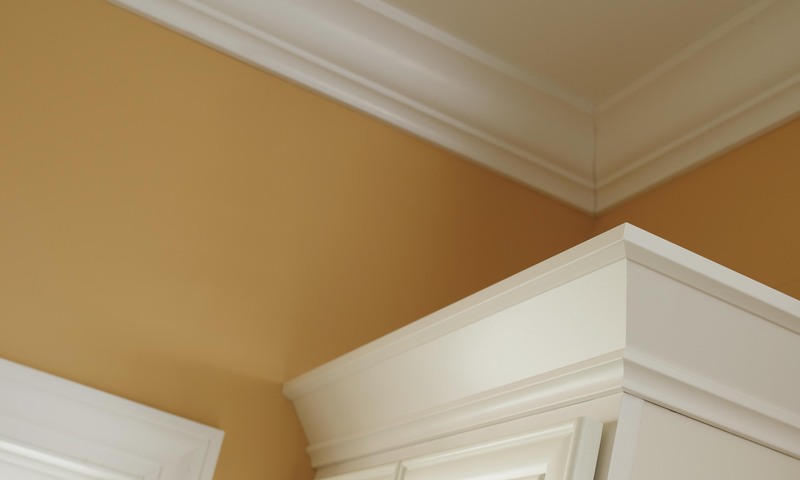 Moulding is a perfect way to add that extra pop to a room. It provides that finishing touch taking a room from ‘okay’ to ‘amazing’! 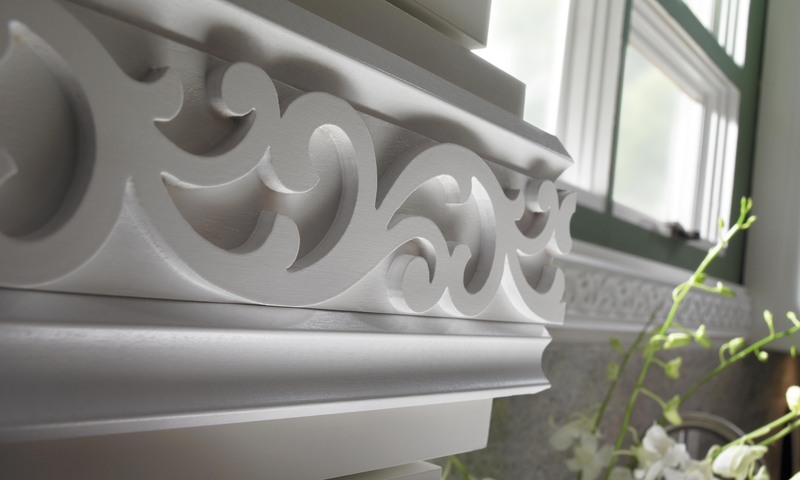 Primed MDF or Wood moulding available in all shapes and sizes.